A damaged screen is often the result of a bump, hard drop, or deep impact. Signs of a broken screen include a cracked glass, busted LCD display, dim backlight, or dead pixels. See our selection of screen repairs. Is your battery life noticeably shorter than it once was? Does your device refuse to charge or no longer retain adequate power? These are common symptoms of a failing battery. See our selection of battery repairs. Is your rear housing plagued by scratches, dents, warps, or unwanted engravings? Issues such as these are common causes for replacement of the device's backplate. See our selection of back cover repairs. The headphone jack often fails due to excessive usage, corrosion damage, or debris blockage. Resulting symptoms include: sound in one ear, static output, or no audio at all. See our selection of audio jack repairs. Failure of the logic board can often be attributed to liquid spills, prolonged exposure to heat, or electrical power surges. As a result, the device usually becomes unresponsive or completely dead. If your device suffers from hard drive malfunctions, it can produce unusual clicking sounds or displays a sad face error, red x warning, or iTunes corrupt messages. See our selection of replacement hard drives. When your device refuses to connect to your computer or becomes undetectable through the charging port, this normally signifies damages to the dock connector. See our selection of charging dock repairs. The click wheel is responsible for scrolling and click button functionality, so when this component becomes faulty, it's quickly noticeable and impairs total control of the device. See our selection of click wheel repairs. Justicoco: "GREAT experience with this company, very accommodating, answered all questions!" 1247davidh: "You’re the BEST!!! Thank you, fast, no surprises, Quality Work Great service A++"
rcoa0917: "Amazing! They diagnosed, fixed and shipped it back to me within days! A+! Best!" john_g_burrows: "Truly amazing service. Fixed HD and free of charge fitted a spare battery!" Fix iPod Touch Screen: "How to replace your iPod Touch's shattered glass"
Extend iPod's Battery Life: "How to extend the life of your iPod's weak battery "
Fix iPod Headphone Jack: "How to replace your iPod's broken headphone jack"
Reset iPod Touch Password: "How to reset your forgotten iPod Touch password"
Q: I bought a repair service. Now what? Q: Can you send me a shipping box & label? Q: Where do I download a repair workorder? Q: Do you offer a warranty & return policy? We carry only top grade OEM parts guaranteed to ensure optimal functionality. This minimizes the risk of future failures and alleviates the worries and hassles of low quality components. We show confidence in our superior parts and professional repairs by backing up nearly every part and service on our website with an unbeatable 12 month warranty! Customer satisfaction is our top priority, so we offer a 100% money-back guarantee on all our parts. If you are dissatisfied with the quality, just return the item within 30 days for a full refund. Unsure about the damage? Try our 100% risk-free diagnostic service. 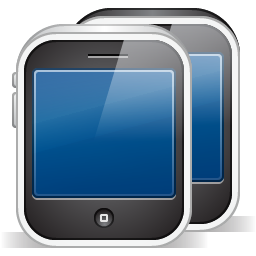 Introduced in 2007, the iPhone is Apple's revolutionary iOS driven line of smartphones. Common iPhone failures include a shattered glass, dented back cover, water damage, and faulty batteries. 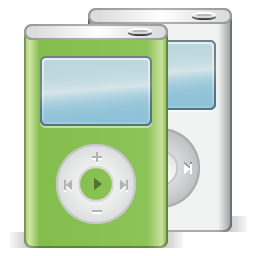 The iPod's debut in 2001 marks the start of Apple's innovative line of portable media players largely credited for the evolution of pocket-sized gadgetry. Signs of damage include a broken screen, low battery life, hard drive failure, and click wheel malfunctions. 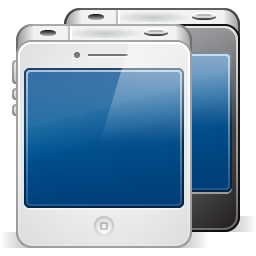 The iPod Touch utilizes Apple's iOS interface and shares many features of the iPhone minus the calling capabilities. Common signs of breakage include a cracked screen, battery failure, liquid exposure, and faulty headphone jack. Originally released in 2010, the iPad is Apple's groundbreaking tablet computer garnering acclaim for its role in the advancement of portable technology. Symptoms of damage include a busted screen, undetectable wi-fi antenna, broken dock connector, and stuck home button. Let us send you a shipping box and prepaid USPS postage label. Just drop your device into the mailbox and we will take care of the rest. 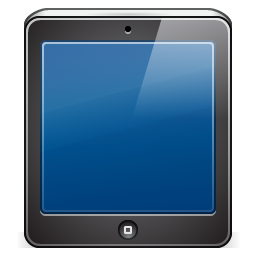 See our full catalog of professional repair services for iPod, iPad, & iPhone. Browse our selection of high quality OEM parts and do-it-yourself replacement kits. Enjoy our large collection of helpful step-by-step repair guides & video tutorials.